Pickpockets targeted race-goers at Glorious Goodwood, with seven incidents reported to police within around a two hours period on one afternoon. Sussex Police said there had been ‘no other significant incidents of disorder or crime’ during the four-day horse racing festival, now called the Qatar Goodwood Festival, which ran from July 26-30. However on the Saturday, seven people reported having possessions, mainly wallets, stolen from them, a police spokesman said. He added that a ‘number of people were ejected by event security personnel for various reasons over the period of the festival’. 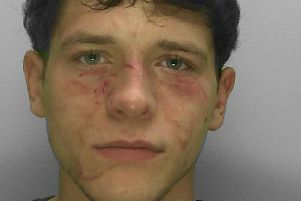 Anyone with information is asked to email 101@sussex.pnn.police.uk or call 101.